Amidst continued apprehensions that Prime Minister Narendra Modi does not seem interested in his announced neo-liberal "economic reforms" to further open up the Indian economy to world investors, the World Bank has stepped up its pressure saying India can achieve 7.7 per cent rate of growth in 2017 only if it early quickly moves in that direction; lest it would miss the bus. The World Bank, even as releasing its report titled, "South Asia Economic Focus Spring 2016: Fading Tailwinds", has stated, "Economic growth in India expected to be 7.7 percent in 2017 compared to 7.5 percent in 2015", but warns Indian policy makers that "delays in the adoption and implementation of key reforms could affect investor sentiment." The remark comes amidst the Government of India failing to bring about a consensus on dropping what the World Bank believes was a "retrograde" land acquisition Act, 2013. 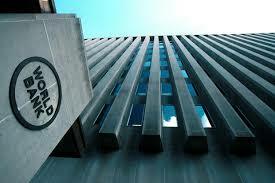 Also, there are few efforts, the World Bank point of view, to try to drop subsidies going into the agriculture sector. It said, "Favorable overall trends mask important underlying divergences: between urban and agricultural households; between domestic and external demand; and between public and private capital expenditure, which should be addressed." Pointing out that, thanks to India, South Asia "remains world's fastest growing region, but should be vigilant to fading tailwinds, it said the country's economy can look up if it is "supported by a rebound in agriculture and stimulus from civil service pay reforms", the World Bank underlines, the region "should worry about global turbulent." The World Bank said, "Led by robust growth in India, South Asia shows resilience in the face of turbulent international markets and remains the fastest-growing region in the world, with economic growth forecasted to gradually accelerate from 7.1 percent in 2016 to 7.3 percent in 2017." In a twice-a-year report, "South Asia Economic Focus", the World Bank said, "The region’s economic performance prospects remain strong due to its limited exposure to global turbulence, coupled with increasing investment activity." "However", it pointed out, "There are also signs of fading tailwinds. Capital flows to the region have declined and remittances from oil exporting countries have started to weaken." It further said, "Fuel and food prices remain low but are unlikely to keep falling. As a result overall output growth is slower than previously anticipated and inflation has recently been creeping up." "Given its weight in the region, India sets the pace for South Asia as a whole", the World Bank said. It added, "Economic activity is expected to accelerate from 7.5 percent in FY2016 to 7.7 percent in FY2017 based on the expectation of strong private investment, a push in infrastructure spending, an improved investment climate, and deleveraged corporate and financial balance sheets." “Fiscal policy has a wide range of impacts for development. The fiscal deficit affect macroeconomic stability, capital expenditures are needed for growth, and taxes and social spending matter for equity,” the report quotes World Bank South Asia Chief Economist Martin Rama as saying. "With the currently low oil prices, this is also an opportune time for South Asian policy makers to introduce or expand explicit carbon taxes. This would improve environmental and fiscal sustainability at the same time”, Rama insisted. "Many South Asian countries show potential for accelerated growth in the short to medium term. However, the tailwinds of high levels of remittances coupled with low oil prices may be slowing down so countries should be well prepared for a more difficult global environment", the report said.